The Camlad 34 is a modern clarsach with a strong, bright, yet expressive tone; fitted with medium-tension nylon strings. 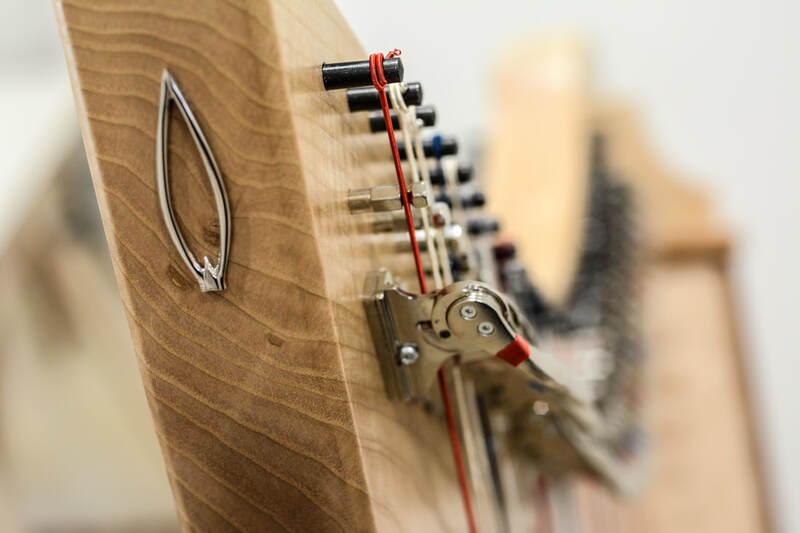 It has a soundboard of aircraft-grade laminated Finnish birch, making it less vulnerable to changes of temperature and humidity than harps with a solid spruce soundboard; and a round-backed sound-box. It is available in a variety of beautiful British and American hardwoods. The student model is the same as the other models in every respect, except that it is built in native ash with a plain birch sound-box. Weight (approximate, depending on timber) 13.5 kgs.